It’s an idea so brilliant you’re going to wish you thought of it yourself. Like, every single night you’ve been at daycare pick-up dreading what to make for dinner (that no one really eats) when you get home. Enter daycare franchise, Learn and Laugh’s $5 takeaway dinner service. That’s right. Demonstrating a canny understanding of the unique challenges for working parents, Learn and Laugh now offer healthy, freshly cooked dinners, for parents to pick up along with their kids on their way home from work. The simple genius just makes me want to cry. 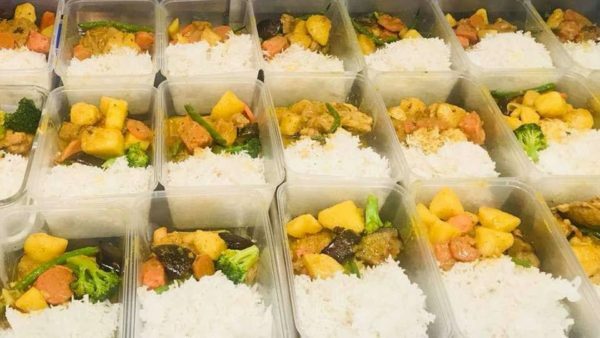 According to the Learn and Laugh website, the dinners are simple and include things like a chicken stir-fry with rice and spaghetti bolognese, and most families take one or two boxes home when they pick up their kids. Most importantly, the meals are also different from what the children have eaten that day for lunch. It’s such a simple idea and one that will hopefully take off in other daycare centres around Australia. Dinner can be such a pain when you’re all tired from a long day out of the house, but try not to stress too much. In a recent interview with Kinderling Conversation, nutritionist Susie Burell said working parents should take the pressure off themselves when it comes to dinner for daycare-weary kids. “Daycares have to serve a hot meal in the middle of the day, so your child just needs a snack at night time. A sandwich, some cut-up fruit and vegetables and a cup of milk is ample,” says Susie. Susie says the same rule applies to mums and dads. What’s your never-fail after-work dinner that everyone will eat?